This article was published in the NME magazine on 8 September 1973. Author — Tony Stewart. Heepers Creepers! How comes a bunch of ‘ordinary working-class rock ‘n’ rollers’ got taken by the chill embrace of American Weirdom? 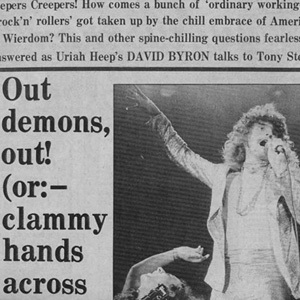 This and other spine-chilling questions fearlessly answered as Uriah Heep’s DAVID BYRON talks to Tony Stewart. THIS INTERVIEW had the most ordinary of beginnings. 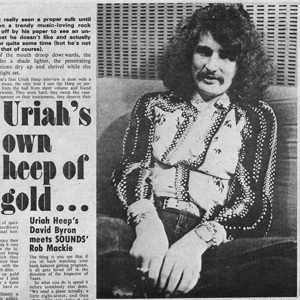 David Byron and Uriah Heep’s Press Miss and myself left the other four members of the band in Lansdowne studios to clean up the tracks of the new album Sweet Freedom, while we had a quiet drink in the public house over the road. We broached the usual topics to open a conversation – like who’d drink what, and who was going to pay, which Miss Press settled amicably. And then came an introductory spiel about the album. 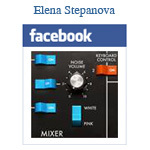 “We’ve been told by our producer Gerry Bron, that this is the album. But I said to him last night he’s going to say that with the next album, and the one after that. I think he’s said the same about all the albums. Indisputably the album is of major importance in Heep’s career since their inception, when they were no more than, says Byron, “a second rate Vanilla Fudge”. However, when Byron starts to recall their past albums we divert, as Byron settles himself down to talk of the invidious position that Demons and Wizards and Magicians Birthday put them in. Fair enough, on a musical level they achieved respect, and even Robert Plant, for instance, has words of praise for them. AND YET in America it was the lyrics and song titles which unfortunately developed into an occult myth. Byron outdoes himself as he relates the stories. He talks of Undergrounder Leaders as if he were telling chilling ghost stories. Uriah Creeps, one could say. But in a damn-right ordinary manner Byron explains there’s no foundation in the substance of the songs to provide an association with any Occult Art. But then as yet he’s undecided as to whether it has damaged the band. “If we had genuinely got into that bit,” he says, “then we’d have something to answer for. But all we did was title two albums. If we’d called those albums. 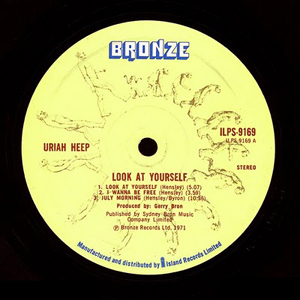 ‘Uriah Heep Volume Four’, and ‘Uriah Heep Volume Five’…” Right, things would have been different. Then, with an almost sinister air entering the conversation, Byron – an excellent raconteur – tells of their eerie first encounter with the Demons of the US of A. “We got to the States and we started to get a few freaky people turning up to gigs.” His conversation is, at first, light-hearted, as he illustrates the Humourous elements of the cult following. Though it later transpires that American Weirdom should be treated with caution. “These birds with cherry red lipstick came up,” he adds, “and say, ‘hey man, you’re really cosmic’. Cosmic was the word at the time. “It’s so heavy,” he continues effecting the drone of a female American’s voice, ‘”And I really dig it, an’ it trips me out, an’ I always listen to your message’. Crap. “They’re so into this” – and he sneers the word – “cosmic thing. But with us we go in the studio because of recording commitments. Then we did Magician’s Birthday, and we thought it was a great title because it’s a long track on the set, and it had the connotations of a good album sleeve. It also followed on well from Demons. “Then it really started,” and his tone is one of exasperation. “We got all these freaky letters. Half way through the letter we’d go, ‘we can’t read another, we’re going to throw up’ – seriously. “All these weird birds got hold of our old ladies’ phone numbers and addresses, and they started doing all these ghostly trips when we’re away. So we finally came to the conclusion it had to stop, because we weren’t really into that,” and he stresses his point, “but we were getting terrible repercussions. “For about three months,” he elaborates, “we were getting so many weird letters that it was driving us round the bend. We got letters from people on another planet” – he doesn’t smile. “It was a joke for a while, and then it just started to do us in. So we decided to steer away from it. “Why did Bowie quit? He’s the weirdest guy who’s come around in a long while other than Alice Cooper. So I can imagine they’d be hundreds of these people at his London gigs, and I can imagine the phone calls he gets and the letters, and you’re supposed to read ’em. But it’s a job – they can blow your mind. AND STILL referring to Bowie he continues: “It was probably purposeful in the beginning, but the only problem with anything that is purposeful is you don’t know where it’s going to lead you in the end. “I mean, every major act starts with an image and it’s a question of whether you carry on with it, or try to lose it after a while. Sure enough they did. Whenever the band flew into an airport some freak from the City, usually garbed in the black cloak uniform representing Weirdom, greeted them. It became a nuisance, and aggravated the annoyance Byron already felt. Even when he recalls the incidents he’s rather bitter. To some degree that’s quite true, although Byron does contradict himself, because he credits the American Underground with creating an interest in the band. Now his tone is respectful. Even though he doesn’t necessarily believe in their philosophy, it is the power of one individual over others he admires. “If he says something chicks almost faint, because he is the leader. And if he says, ‘I’ve just heard a band called Uriah Heep’.” and again Byron is imitating an American drawl, “and they’re really good’, you can bet your life you’ll start selling records in that town. He is so powerful, although usually totally messed up. “WE ACTUALLY believed in this for a while, and it totally destroyed us. 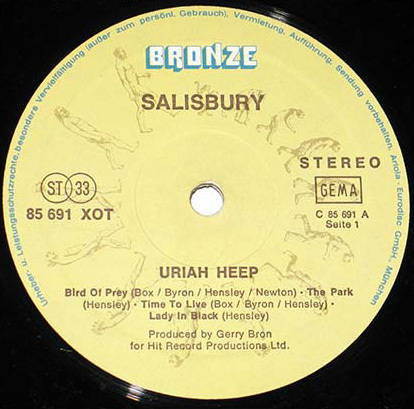 Because one of the first major towns we were booked into in the States was Detroit – and they were very heavily into Uriah Heep. “We eventually got there, and this guy called Steve something-or-other was the underground leader. And he’d got our first album, Very ‘Eavy, Very ‘Umble, and he turned Detroit on to Uriah Heep and he got all the DJs playing it. We’d sold more records in Detroit than any one city in the States. “But about two weeks before we got there he’d died from an overdose. It was a shame because we wanted to meet this guy, as he’d done us a lot of good in his own little way, and we wanted to shake his hand. “When we got there people told us he’d died, but they said.” and Byron lowers his voice to an ominous whisper as he again mimics an American, “‘there’s a new leader’. Steve has just been buried, and they reckoned he had given them a new leader. That’s how weird it gets out there sometimes. “They brought in this guy who called himself Jaggers. It turned out he was a lunatic, and he was totally infatuated by Mick Jagger. He was dressed in black. I said. ”allo there, ‘ow ya doing?’.” Byron pauses for effect, creating a slight chill as he adopts the roll of Jaggers. “That town actually thought he was dead,” Byron explains. “And his trip was so far out that he would disappear for a month and spread the rumour round he was dead. Then he’d appear around somebody’s house at four in the morning when everybody was smashed out out of their heads. He’d appear for a few seconds – dressed in black with this white make up on – and then disappear. “This,” informs Byron, “goes on and on and on through every major town in America. They decided against this, as they’re just ordinary working class rock ‘n’ rollers, who tired of the cosmic existence. And then there was a peculiar breed of groupies. “And these ladies,” he elaborates, “would do their utmost to rip off the band,” which Heep have tried to express on one track from the new album called ‘Circus’. Nevertheless Byron is doubtful whether Sweet Freedom will alter the myth built around the group, although it should be regarded as their first musical stroke, far outclassing their previous releases. Still, with the title of the set the freaks in the Land of Weirdom will be able to add their own interpretation, as will other people like Heep’s former American record company. “This album is called Sweet Freedom, so what’s going to happen is all these freaky people in the Magicians and Demons, are going to go ‘wow, they’ve been released and this is how they’re telling us,’ he says. Is it the release of Uriah Heep from their occult masters? Or is it a downer on Mercury? Could it just be a damn fine album. 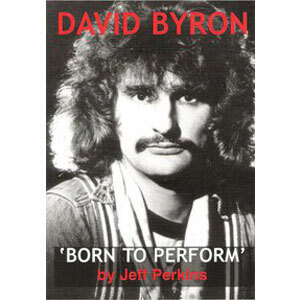 Allow David Byron the chance to explain. Wow man, now that’s what I’d really call cosmic.